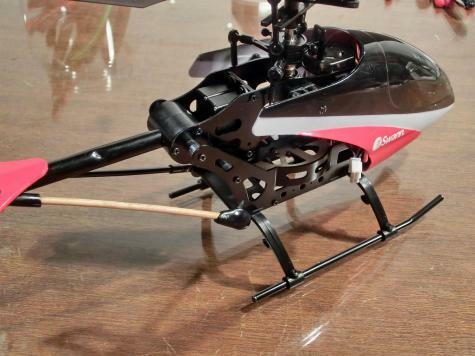 We used some bamboo and a small piece of black Plastimake to replace the strut on this radio controlled helicopter. 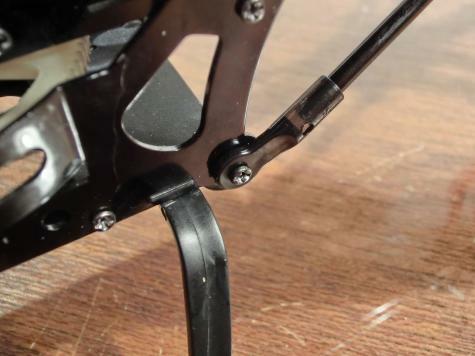 The original strut had been lost after a particularly hard crash. 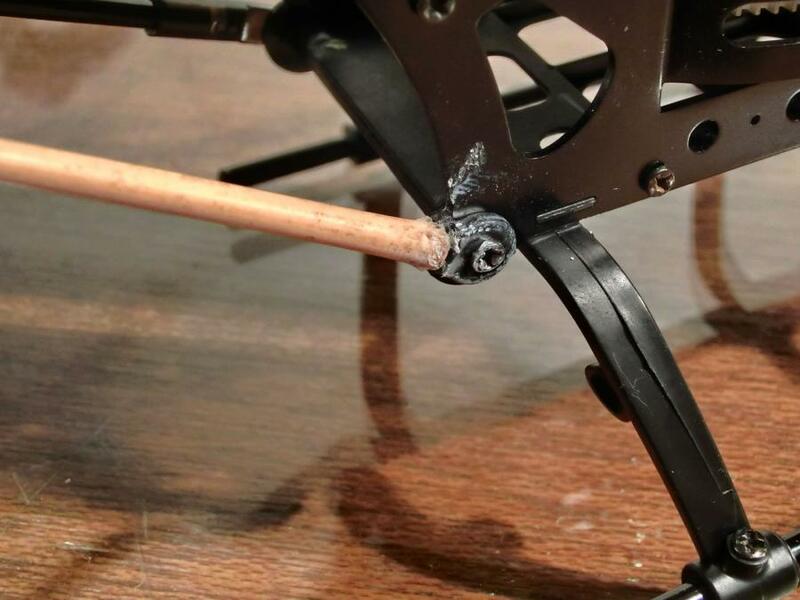 First we cut the bamboo strut to size and glued it in place with Superglue. 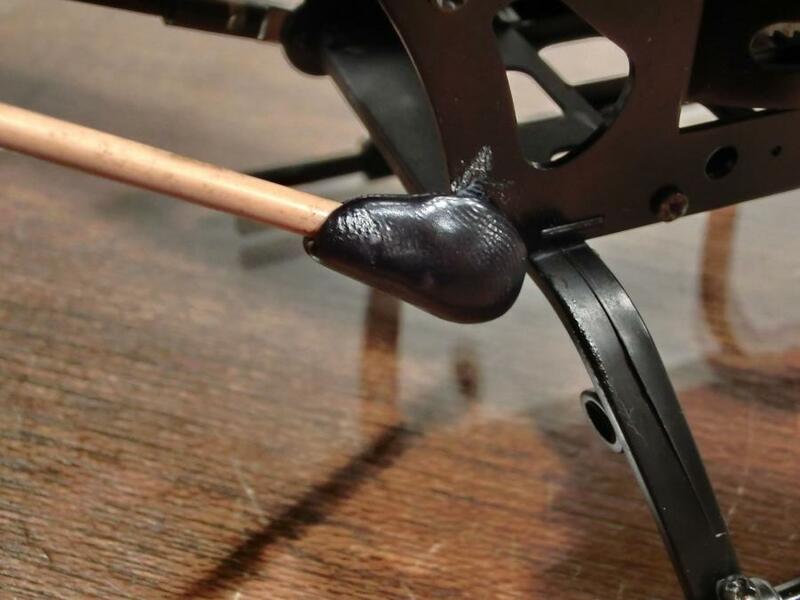 Then we applied 0.5g of black Plastimake around the base of the strut to hold it firmly in place.